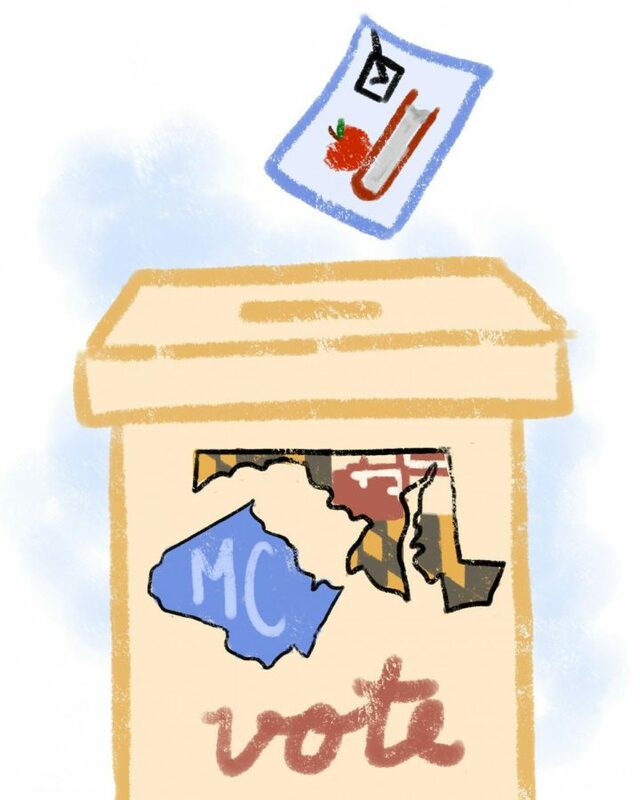 This month, thousands of Montgomery County and Maryland residents cast their ballots for the midterm elections with the campaign promises of elected officials in mind. In each of the midterm races, candidates made education a central part of their platform. As the first Republican governor to win reelection in Maryland since 1954, Governor Larry Hogan made history this election season. For the Montgomery County Executive Race, Democrat Marc Elrich won more than two-thirds of the vote, more than triple the number as his closest competitor Nancy Floreen. Democrat David Trone won the open Senate seat, and both incumbent Democrat Ben Cardin and Representative Andy Harris were reelected. Governor Hogan described education as his top priority. Through his four years in office, he sought accountability for the billions of dollars that the state spends on schools. In addition to his promise to continue to strive for accountability, he has promised record school budgets from education “lockboxes” for casino revenue. According to the Baltimore Sun’s report of Hogan’s plan, they will increase education funding by $4.4 billion over the next 10 years. For students, this could mean better technology in the classrooms. Hogan also advocates for expanding educational opportunities for historically underserved students. With the continuation of the BOOST scholarship program, he has said that he will strive to provide tuition assistance and other help to students from low-income families. During an interview with the Washington Post, Bebe Verdery, education reform director for the American Civil Liberties Union of Maryland said, “This really is a pivotal moment for education in Maryland.” Verdery explained that Hogan would be a key player in deciding issues pertaining to racial inequity and the funding gap between wealthy and low-income districts. Democratic Representative David Trone puts education high on his list as well. According to his website, he has found that in places across the country, schools are funded by local property taxes, putting schools in poor neighborhoods at a disadvantage. His platform aims to even the playing field for all students regardless of socioeconomic status. Democrat Senator Ben Cardin advocates for better education as well, focusing more on helping students get to college. He supports the America College Promise plan, which would provide academically successful students with the ability to earn the first two years of their college degree tuition-free at a community college. For students who might have wanted to skip college due to cost, the plan would be greatly beneficial. Every election has a prominent effect on students across the county and state. This election is no different, and it will shape the way our school system works. With both major parties in the mix and with each candidate having a different take on how to approach the education system, these policies will undoubtedly impact the lives of RM students.